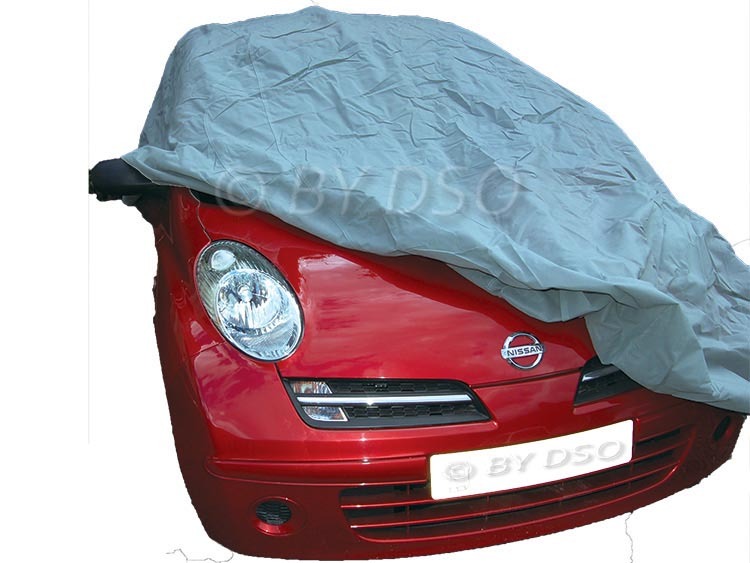 Lightweight breathable car cover ideal for cars used every day. Protects from Sun, Natural Pollutants like bird droppings, Tree Sap, Snow and Ice, Industrial Pollutants, airborne dust, dirt and UV light. The cover is lightweight and very easy to fit and take off. When removed it can be packed in the supplied storage bag. The cover has an elasticated hem front and rear and is fixed with three straps to maintain fit and security. The breathable fabric can be used outdoors or in a garage. It can also be placed on a wet car as the fabric is breathable. The water will simply evaporate through the fabric. Easy to handle when using the car every day. Spun-Bonded polypropylene that is water repellent, UV treated, double stitched seams, elastic front and rear hems for a snug fit. Soft, abrasion-resistant material the will not scratch your paintwork.